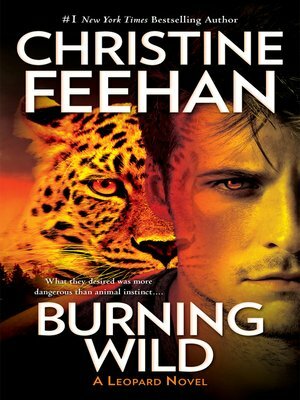 Bred by capricious parents for his innate leopard-shifting abilities, billionaire Jake Bannacotti has spent his life in an emotional vacuum—especially after a tragic twist of fate left him to raise his infant son alone. But when his path crosses that of an enigmatic young woman, Jake's life takes a detour he never fathomed. There is something irresistible about Emma Reynolds—something Jake can't live without. Hiring her as his son's nanny will keep her close. And warm. And under watch. She's the first human to stir something in Jake he's never felt before. But she may not be at all what she seems. And what's raging between them is pure animal instinct—out of control, burning wild, and as hot as the lick of a flame.